Apple has tried to get rid of Dashboard before, but the feature is still here after the latest macOS update 5 Reasons to Install macOS Sierra Right Now & How to Upgrade 5 Reasons to Install macOS Sierra Right Now & How to Upgrade After a few months of public beta, the latest version of Apple's desktop operating system is ready for prime time. Read More . The question is, can you make Dashboard useful again? After a bit of experimentation, I’d like to think so. The default Dashboard widgets are okay, but they’re redundant since you get the same ones in the Notification Center now. 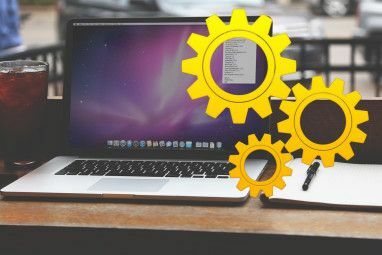 You could always install a few useful third-party Dashboard widgets 9 Mac Dashboard Widgets You'll Actually Use 9 Mac Dashboard Widgets You'll Actually Use Don't neglect your Dashboard any longer. Try these nifty Mac Dashboard widgets to add useful functionality! Read More . Or, here’s an idea: turn your most-used bits of the web into widgets (or web clips, Apple calls them). Note — If you find that Dashboard has disappeared after you updated to Sierra, open it from Spotlight like you would open any other app. You can also head to System Preferences > Mission Control to ensure you haven’t turned the feature off. Say, you don’t have enough time to catch up on all our articles during the week and like to save your reading for the weekends. But maybe, you’d like quick daily updates about what’s popular on the site. 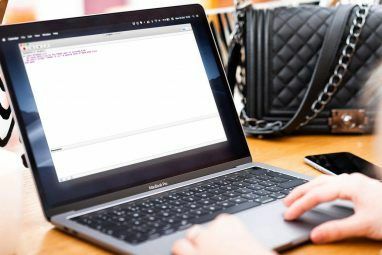 You can get that information at the press of a key or a swipe of the trackpad if you turn MakeUseOf’s Popular Articles section into a web clip. Open makeuseof.com in a new tab in Safari and click on File > Open in Dashboard… You’ll see that the screen now has an overlay. In this mode, you can grab parts of the webpage with a click of the mouse. Move the cursor to our Popular Articles section at the top right on the homepage. It will be highlighted in white. Now click on it, then hit the Add button in the toolbar at the top. You have just created a web clip! Head over to Dashboard with a three-finger swipe to the right and you can see the web clip in action. When the Popular Articles section gets updated on our website, it gets updated on your Dashboard. Handy, right? Since web clips are dynamic portions of webpages, you can view their content in Dashboard only when you’re connected to the internet. On a side note, creating web clips is only one of various useful things you probably didn’t know you could do in Safari 9 Things You Probably Didn’t Know You Could Do in Safari 9 Things You Probably Didn’t Know You Could Do in Safari Safari is a good browser — uncluttered, pleasing, and smart. Yes, it might be missing a few features, but it has several other useful ones that'll make browsing easier for you. Read More . Now, what can you turn into web clips to keep your daily dose of the web accessible? Here are some ideas to begin with. Feel free to use them as a springboard to think up new ones of your own. Editors’ picks from Medium — Medium Categories like Editors’ picks, Reading roulette, and Top stories can make useful web clips. The most recent Reddit links — You get to move back and forth through the links right from the web clip. Quotes from Goodreads — You can also add websites that come with a “highlight of the day” feature (word of the day, app of the day, tip of the day, and so on). What’s trending on Twitter — Use this if you like to keep a close eye on worldwide Twitter trends. You could also set up a web clip for a particular search term or a hashtag. You don’t need a Twitter account Yes, You Can Use Twitter Without an Account! Here's How Yes, You Can Use Twitter Without an Account! Here's How Twitter's open nature lets anyone check out the micro-blogging social network without requiring a registration. It's all possible without using an account. Here's how to use Twitter without signing up. Read More to set up these Twitter-related clips. Daily deals and finds from Amazon — Get updates on free, discounted, interesting stuff from your favorite e-commerce websites. Create temporary web clips during seasonal sales to stay updated on blink-and-you-miss deals. Shots from Dribbble — If you’re a creative, you can get design inspiration, Photoshop tips, free daily resources, and so on from your Dashboard. Trending music from SoundCloud — If you want to find and play new music 5 Ways to Discover New Music Without Being Overwhelmed 5 Ways to Discover New Music Without Being Overwhelmed How do you discover new music? These five easy tools will help you find new songs and fresh albums without feeling overwhelmed. Read More from Dashboard, turn a dynamic category or group from a music discovery website into a web clip. If you want the audio to play even when Dashboard isn’t active, deselect the Only play audio in Dashboard checkbox in web clip’s settings, which we’ll show you how to access in the next section. Each web clip comes with a tiny, circular “information” icon at the bottom right. Click on it to access that clip’s settings. Once you do, you’ll see that you can switch up themes. Click on the Edit button to resize the web clip like you resize browser windows (i.e. by dragging the corner handles). Resizing is useful when you want to fit in a handful (or more) web clips without making Dashboard look too cluttered. If you want to move a clip around, click on it and drag it where you want it to be. You can’t move sideways within a web clip to look at hidden content unless you’re in the “edit” mode. Of course, you can resize the clip to focus it on the right content area. To get rid of a web clip, first click on the “-” (minus) sign at the bottom left in Dashboard. This gives you a Close button for each web clip. Use that to delete web clips you no longer need. By default, Dashboard shows up as a Space. That’s to say you have to use a three-finger swipe to access Dashboard, like you would to access an app that’s open on a separate desktop 7 Good Habits Every Mac User Should Get Used To 7 Good Habits Every Mac User Should Get Used To Today we're going to share our favourite good Mac habits, while desperately trying to forget the bad ones. Read More . Swiping back and forth between Dashboard and other apps is not convenient if you have to do it on a regular basis. It would be easier if you could have Dashboard drop down like a curtain over your current app and go back up when you no longer need it. That’s possible if you set up Dashboard to open as an overlay instead of a Space. To have Dashboard appear as an overlay, go to System Preferences > Mission Control > Dashboard. See the Dashboard: drop-down menu there? Select As Overlay from that menu. Apple has already set up a keyboard shortcut for Dashboard: F12. If that isn’t working for you or if you’d like to use a different shortcut, go to System Preferences > Keyboard > Shortcuts > Mission Control. Ensure that the checkbox for Show Dashboard is selected and click on its existing shortcut to replace it with one of your own. An easier way to access Dashboard is via a hot corner. 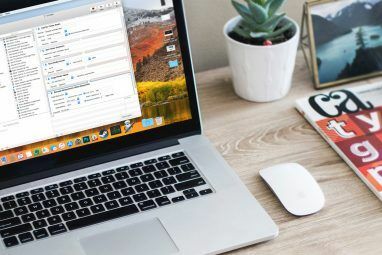 Hot corners are one of those useful System Preferences you probably haven’t tweaked yet 9 Mac System Preferences You Haven't Tweaked Yet 9 Mac System Preferences You Haven't Tweaked Yet Whether you're new to OS X or a longtime user, there's probably something in System Preferences you haven't found yet. Here are nine things you might have missed. Read More . In the Active Screens Corners dialog box that comes up, the four drop-down menus correspond to the four corners of your screen. If you want Dashboard to show up when you move the cursor to your screen’s top right corner, select Dashboard from the top right drop-down menu and hit the OK button to save the change. Worried that you’ll trigger the hot corner accidentally? That’s quite possible, but there’s a workaround. Add one or more modifier keys (Shift, Command, Option, or Control) when you set up the hot corner for Dashboard. To do that, hold down a modifier key (say, Command) when you select Dashboard from the drop-down menu from above. Now you can trigger Dashboard by holding down the Command key and moving the cursor to the top right corner of your screen. When Apple Hands You Dashboard, Make a Web Clip? Using Dashboard is handy for accessing the online information you seek out on a regular basis. It’s better than installing more standalone apps, keeping sites pinned to your browser, or opening the same bunch of sites several times a day. Don’t go overboard with the web clip creation though — you’ll end up with a messy Dashboard. 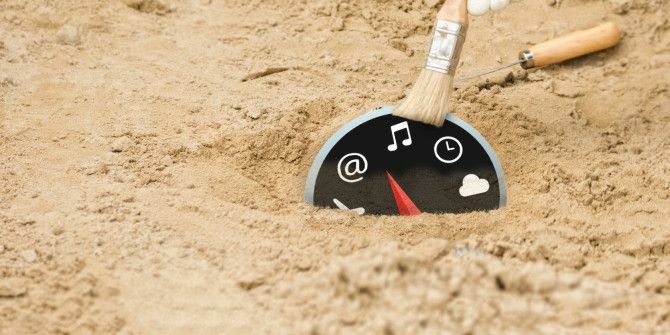 Have you given up on Dashboard or have you found a way to make it work for you? Let us know what you think in the comments. Explore more about: Mac Tricks, macOS Sierra, Safari Browser.